Over two hundred years ago Bookholm, the City of Dreaming Books, was destroyed by a catastrophic firestorm. Optimus Yarnspinner, who witnessed this disaster, has since become Zamonia's greatest writer and is resting on his laurels at Lindworm Castle. Spoilt by his monumental success and basking in adulation, he one day receives a disturbing message that finally reinvests his life with meaning: a cryptic missive that lures him back to Bookholm. Rebuilt on a magnificent scale, the city is once more a vibrant literary metropolis and Mecca of the book trade teeming with book fanatics of all kinds. On the track of the mysterious letter that brought him there, Yarnspinner has scarcely set foot in the city before he falls prey to its spirit of adventure. He is reunited with old friends like Inazia Anazazi the Uggly and Ahmed ben Kibitzer the Nocturnomath, but he also encounters the city's new marvels, which include the mysterious Biblionauts, the warring Puppetists, and the city's latest craze, the Invisible Theatre. 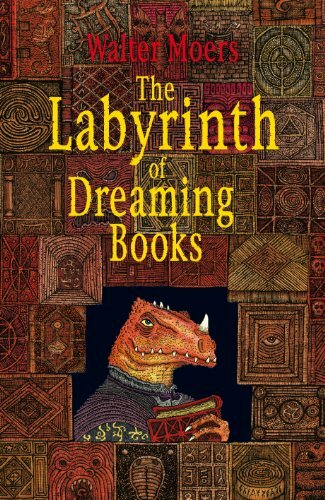 Yarnspinner strays ever deeper into the Labyrinth of Dreaming Books, which seems to wield a strange power over Bookholm's destinies. He is eventually drawn into an irresistible maelstrom of events far more sensational than any of the adventures he has previously embarked upon.